Rahil Gangjee finished with a four-day total of 12-under 276 -- three strokes behind champion Natipong Srithong of Thailand, who scored 67 on the final day at the Manila Southwoods Golf and Country Club. Gangjee was off to a flying start with three consecutive birdies. The 37-year-old got another birdie on the eighth but failed to sustain the pace. The Kolkatan dropped the shot on the 12th before picking up another birdie on the next hole for a 68 that helped him jump seven places. He finished with a four-day total of 12-under 276 -- three strokes behind champion Natipong Srithong of Thailand, who scored 67 on the final day at the Manila Southwoods Golf and Country Club. Gangjee bagged $31,825 for his performance, while Srithong was richer by $180,000. Second best Indian performer was another Kolkatan, Chawrasia, who finished six shots off the pace. 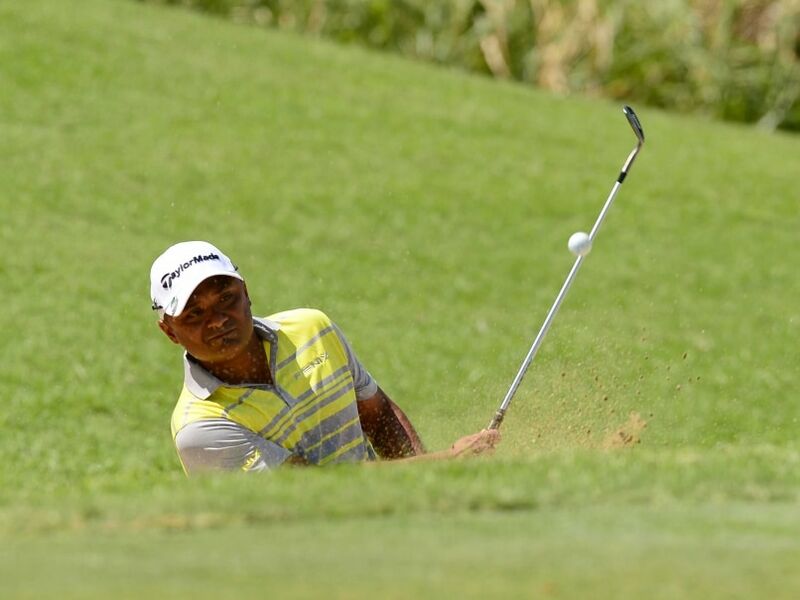 Chawrasia, who was tied fifth after the third round, added a 70 to 70, 70 and 67 he bagged in the first three days. The seasoned Indian got $13,550 to remain fourth in the Asian Tour Order of Merit. Veteran Jyoti Randhawa fired seven birdies for a 65 -- the best score of the day, to move to the tied 25th spot on seven-under 281 total (68-74-74-65). The 43-year-old former Asian Tour champion jumped 33 positions to be tied 25th. Young S. Chikka carded 69 to take his total to 282 (74-67-72-69) and finish tied 32nd, a jump of 12 places. Shubhankar Sharma (72) and Shiv Kapur (68) shared the 53rd spot on 285, while Chiragh Kumar (71) was 64th on two-over 290 total. However, the day belonged to newcomer Srithong, who claimed a thrilling one-shot victory over Jbe Kruger (71) of South Africa, becoming the second Thai rookie to win in successive weeks on the Asian Tour. The 22-year-old Srithong, who turned professional in September after winning the individual and team gold medals at the Southeast Asian Games, overcame a four-shot deficit in the final round with a brilliant 67 and 15-under 273 total. "I was really motivated to play well because I have no status on the Asian Tour. I thought if I didn't win, I will go to Qualifying School to get my card. I don't have to anymore," smiled Srithong. Overnight leader Hung Chien-yao of Chinese Taipei, who sank a magical hole-in-one, endured a topsy turvy one-over 73 to share third place with countryman Lee Chieh-po, who closed with a 70.